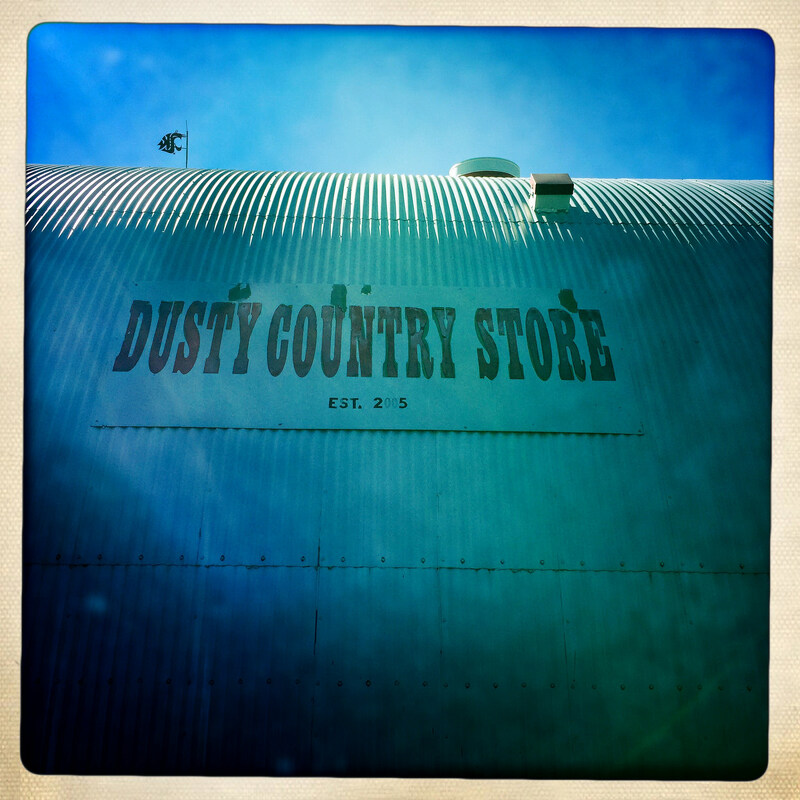 Each time I drive dear daughter to college I drive by the Dusty Country Store and wonder what it is like inside. I don’t think I had ever been in a Quonset Hut before and that alone was reason to stop. I purchased a nice cold bottle of water at a reasonable price and was on my way. Dusty is a community in unincorporated Whitman County and Wikipedia tells me that it has a population of 11 or 12 and is the home of Wylie Gustafson, leader of the musical group Wylie & The Wild West. I’m also including two other photos. The first is from a nearby rest stop where a man on a motorcycle was pulling a homemade dog RV. The dog seemed happy. And the second photo is of a barn that I’ve often admired, but never stopped to capture. This entry was posted in Dusty, Stores and other places that sell you things, Unique Shopping (stores with some personality), WA State - Whitman County and tagged barn, dog rv, Dusty, farming, general, palouse, quonset hut, store, unincorporated on July 31, 2015 by admin.